When you’re selling a solution where a little help goes a long way to keeping leads active and engaged, enter drip campaigns! Drip campaigns in email aren’t new. But Facebook Messenger brings drip campaigns to the next level via higher open rates and superior engagement. Plus it’s so easy to do with MobileMonkey! And drip campaigns are a powerful tool for keeping active customers engaged as you continue to send them valuable, relevant content. Dream up drip sequences along every part of your customer journey. Drip campaigns automate messaging for every member of your audience as they join, from minute 1 to forever. Design campaigns that nurture your key audience segments, whether they came in from an ad or webinar, are top of the funnel or using your product on the regular. 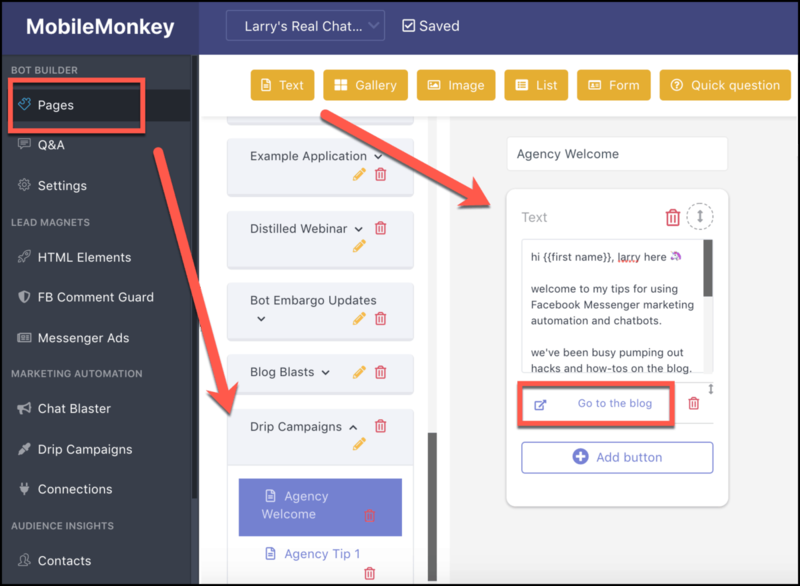 Launch your Messenger drip campaign in MobileMonkey in 3 steps! Step 1: Build chat pages for the campaign. Just like email drip campaigns, start your drip campaigns for Facebook Messenger by building the content. Each piece of content for the campaign is a page you build with the wizzywig drag-and-drop chatbot editor. For instance, here’s a page welcoming new members of the Agency audience segment. Add a text widget, maybe an image, GIF or video and show them where there’s more great content. Step 2: Assign your audience using any of your variables. Creating an audience is simple. 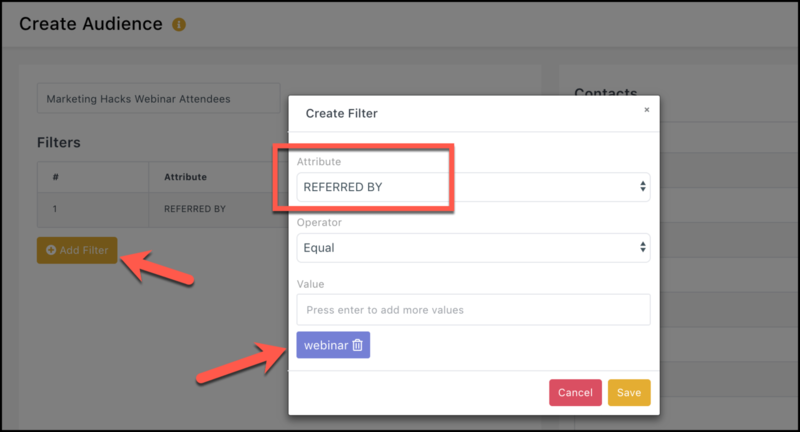 Pick the attribute you want to make an audience segment, and save! Step 3: Schedule the drips! 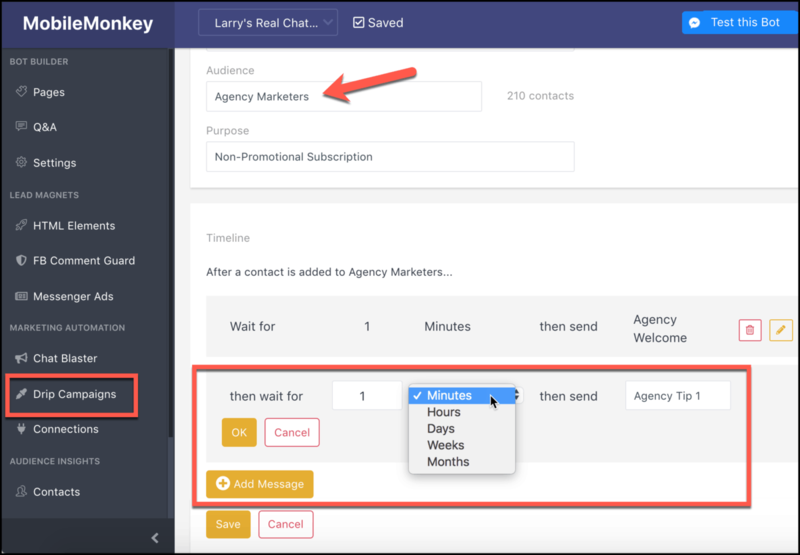 Pick your audience, content and delivery schedule from easy drop-down options. Drip Campaigns in Messenger See 8x Opens vs Email! 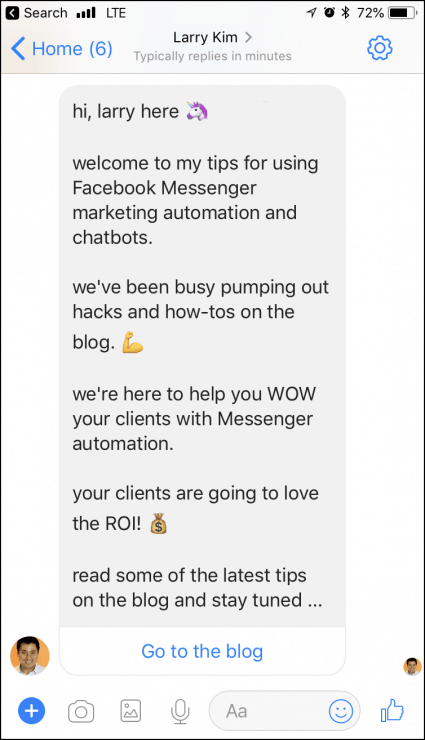 Add Facebook Messenger marketing automation to your mix. Get all the advantages of email marketing automation with 8x higher visibility in engagement! Stay engaged and send useful content over the course of the customer lifetime with Messenger marketing automation! 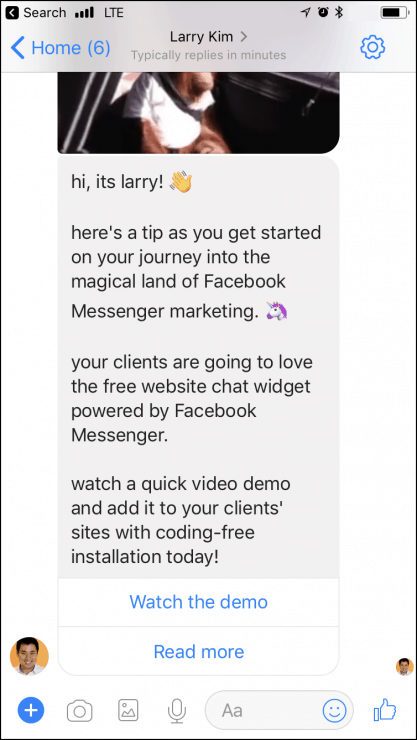 with Drip Campaigns in Facebook Messenger!